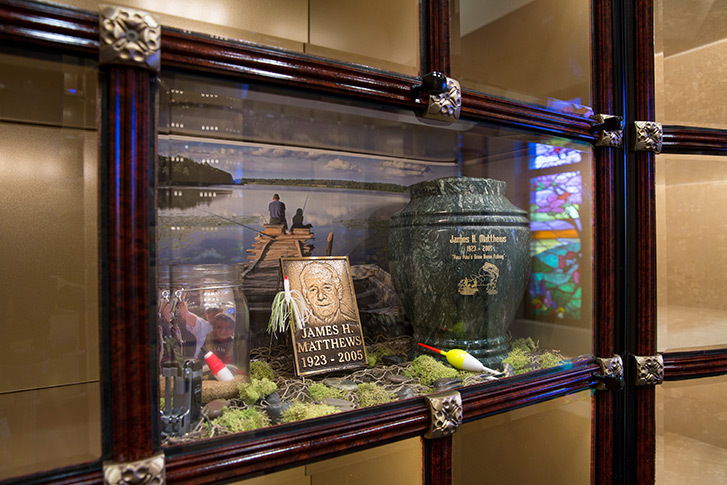 We offer a full array of Cremation Products and all are on display at our Funeral Home. You are invited to tour our facility and see all the beautiful products that are available to shelter and hold your loved one. Two containers are required to facilitate a cremation: the cremation container and an urn. Cremation Containers – The Cremation Container shelters your loved one while they are in our care prior to cremation, and is the container used for the cremation itself. Urns – An urn is the permanent vessel that holds your loved one’s cremated remains. We offer over 50 urns in various sizes, shapes, and colors including urns that are: marble, wooden, brass, cloisonné, porcelain, stainless steel, and eco-friendly. 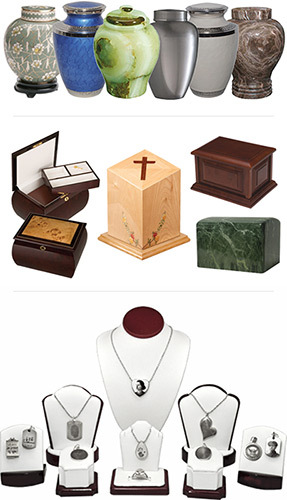 Cremation Jewelry – The jewelry pieces hold a small portion of the cremated remains of your loved one. Many options and styles are available, such as necklaces, rings and bracelets. 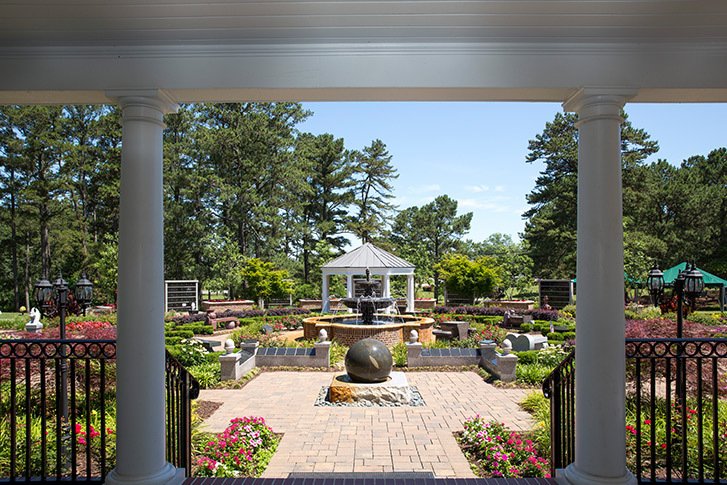 Cascading Waters Cremation Garden – Our beautifully landscaped cremation garden, complete with a water fountain, is a tranquil final resting place for those wishing to create a permanent legacy for their loved one. Columbarium (with glass-front niches) – A Columbarium is a building that contains glass-front niches, a permanent resting place for an urn. Companion (for two urns) or single niches are available. Benches – An urn (or several urns) can be placed within a bench to create a lasting legacy for your loved one. They are several areas within the cremation garden and cemetery where benches can be placed. Statuary – Our Cascading Waters Cremation Garden contains several stunning statues of various sizes that are created to shelter an urn, or several urns. Please click on the video below to learn why it’s important to create a legacy for your loved one and to view examples of all the cremation memorialization options above.